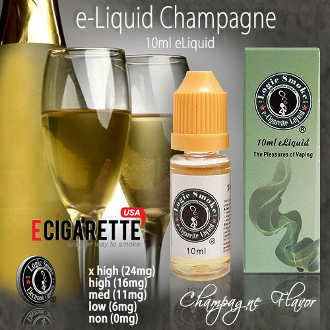 Cheer in the New Year or any other life event, big or small, with our Logic Smoke Champagne Electronic Cig Liquid. With a slightly dry grape flavor this e-liquid gives the illution of champagne bubbles tickling your nose with every inhale. Celebrate life with our delicious Champagne E-Liquid and pamper yourself.